I am Shari Howard McMinn, a published author who has lived an ‘over the top’ life with my beloved husband and 11 children. I enjoy writing and public speaking on a variety of subjects based on my life experience and avid research: Adoption, Childhood Nutrition, Conservatism, Family Economy, Frugal Living, Homeschooling, Pro-Active Parenting, Sustainable Farming, Working Widowhood, and Writing as a Second Career. I teach from a Christian Worldview and share practical strategies for helping families succeed, enjoying life to the fullest in what the Lord has called them. Those who have read my books enjoy my engaging storytelling, and appreciate my sharing of often hard-earned life lessons. I write non-fiction which edifies, informs, and supports family faith in Christ. As a public speaker, I utilize colorful and informative PowerPoint presentations which appeal to a wide range of audiences. When time permits, I enjoy utilizing icebreakers and team-building activities to reach multiple learning styles, increasing impact and retention among participants. Readers and audiences alike have been inspired by my personal testimony, appreciate my transparent candor, and enjoy my witty encouragement. Here are some earlier ‘first read’ reviews of my Stretched Yet Unbroken book. 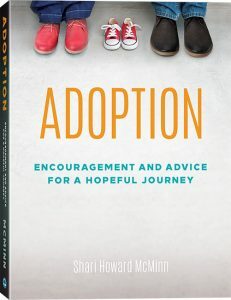 “Shari has brought to life the Howard and McMinn family legacy for future generations to read, and be inspired. Bring a tissue as you live their life, including the Heavenly home-going of her beloved husband, Cary, and see the faithfulness of the Lord. May we all be encouraged to revisit our family legacies to learn of God’s enduring love for us“.